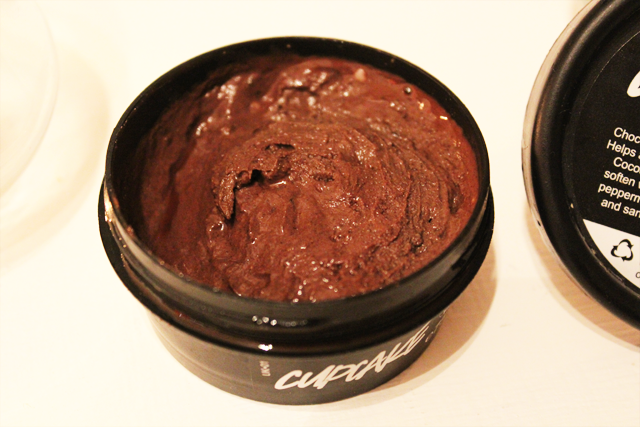 It's the start of the Easter weekend, so why not smoother your face with chocolate like me. It was the time to carry back my 5 Lush pots to get a fresh mask. Reading the Lush Times I decided to try Cupcake it was one of 2 left that I have yet to try and being Easter 'n' all...let's get in the spirit. We invented this mask for younger skins and for those who are new to face masks and want to use something that’s cheerful and cheeky but still effective and good at its job. The lighthearted side of this mask has cocoa powder, vanilla absolute and spearmint oil - because we wanted this to bring all the comfort of a chocolate bar. Well, a chocolate bar that doesn’t cause spots, of course! I'll give them this my skin did feel quite smooth after application. Now this does have the smell that I keep talking about but not as strong and it's bearable for me -whaaat! !- so that keeps me happy. Pulling my best Steffy Baby Boo! Mask Face !! 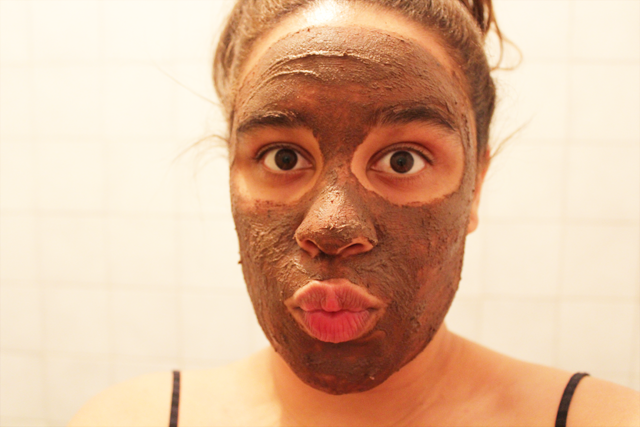 She always pulls the best faces when reviewing face masks » look! It's quite thick in constancy but it's easy to smooth over the face and get a nice cover. I left it on for about 5 minutes. I think I'm going to use this one for when my skin is a little oily and dry - combination skin - who needs it. Lmaooooo Steff does pull that face a lot i've noticed!! 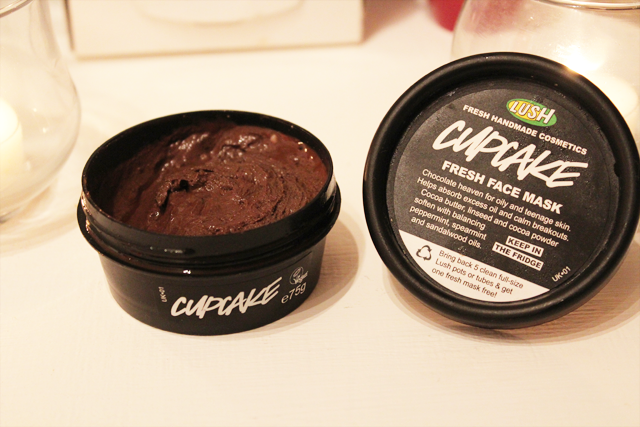 This is one of my favourite masks, I hate the smell of chocolate in cosmetics (it smells kinda wrong to me for some reason LOL) but I really love the mask because it makes my skin feel really soft! LOL she does don't she bless, she pulls the best faces. No I know what you mean with the chocolate in cosmetics smell totally, yet I don't find it over bearing it's quite small but it's there or maybe it's the pot that I got lol. haha, I dedicate it to you! Love your mask face reviews - the best. Lol at your mask face-adorable!